The Holly takes after its namesake, a small area on the Hood Canal known for its natural beauty. 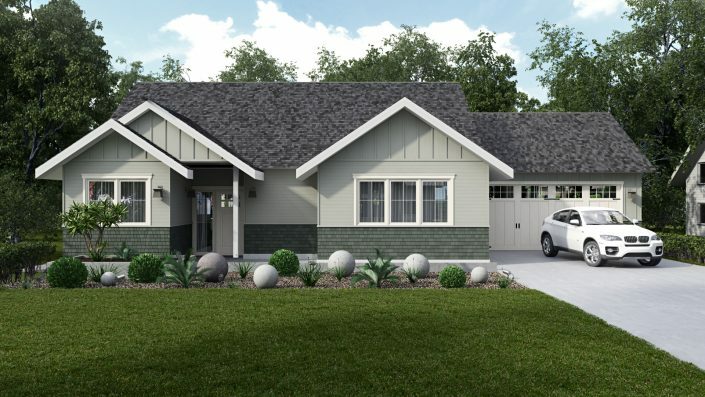 A one-story home with a cabin-like feel on the outside, the Holly offers generous living and sleeping areas. 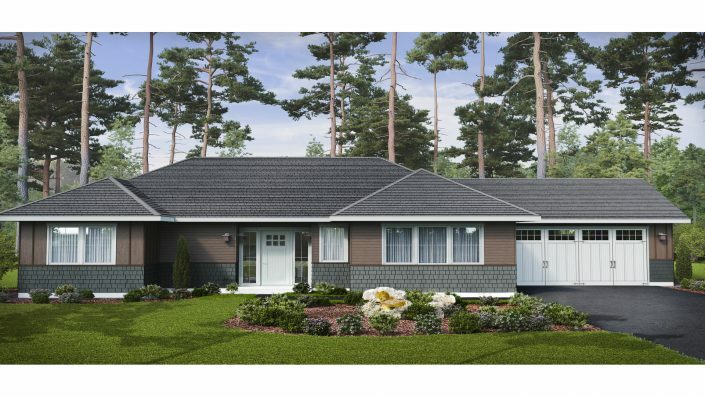 The Holly 2 bedroom includes a master suite with a walk-in closet and a master bath with double sinks. The second bedroom also features a walk-in closet. Kitchen, dining and living room spaces flow together to create a relaxed setting. The covered outdoor area beckons and optional extended decks can be added to create even more of an outside oasis. A breezeway connects to an optional guest room or recreational room and enclosed garage. See the Holly elevation to learn more. Price: Please see the listings page for available pricing.